Regularly, we mention actual applications where our products have been used to clean up after smoke and fire damage, but these products are excellent for cleaning up after folks who smoke in their homes too! Here is a testimonial from one of our regular clients, Justin Loucks, our local Allstate Insurance agent here in Cambridge. Justin also uses this product on his hockey equipment to control odors. Justin writes: "I am sending you this e-mail to thank you for providing me with such a wonderful product EATOILS™ SUPER CARPET-FRESH™. Last year I was given the task of cleaning and painting my grandparent's house as it had been up for sale for several months without any offers. My Grandparent's were extremely heavy smokers and the house smelled like an 'ash tray' and had a film coating of smoke tar on all the walls. I knew that painting the walls would help the house cosmetically but it would not be able to get rid of the odour. Thank you for recommending the SUPER CARPET-FRESH(TM). I used the SUPER CARPET-FRESH(TM) to clean off all the walls and it worked wonders. Just from spraying the walls you could see the tar lift right off without even scrubbing. We used it to clean the entire main level and immediately you could notice an improvement in the air quality - and the smoke odour was quickly going away. 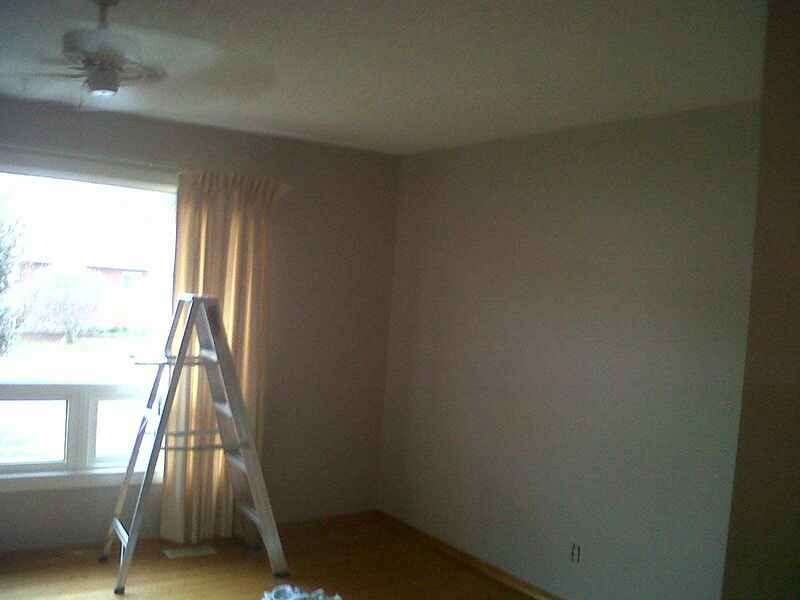 The next day we painted the walls and after we were done you would not be able to notice that anyone had smoked inside the house. I am really thankful to Charles and his EATOILS(TM) products as they work like magic - it is a good feeling knowing you are using a product 1) that is eco-friendly, and 2) that does not contain hazardous chemicals (like the competition). Amazingly, the house sold the very next week. 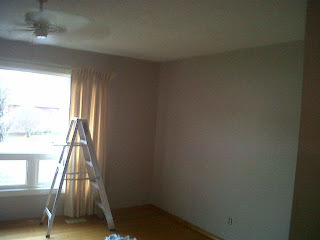 I have attached a photo of one of the rooms... it doesn't show the SUPER CARPET-FRESH™ in action but you get the idea! :)"
Thank you Justin. So, there you have it - another happy customer who loves our SUPER CARPET-FRESH™ product - not only for soft surfaces like hockey equipment and carpet, fabric and upholstery, but also for hard surface cleaning and deodorizing - like walls, floors and counters too! This really is a product for virtually all of your household cleaning jobs - it outperforms most other products, and when you factor in the cost, it is usually much more cost effective than other cleaning products. For most cleaning applications you only use 2 oz. of product per gallon of warm water - so you get 17 gallons of cleaner from every litre/1.11 qt. bottle of concentrate - that's less than $1.50 per gallon of powerful cleaner! Compare at $3 - $4 or more per quart bottle of ready to use product in the store. . .
For more information about this product click here How about ordering some today?